Last week I showed you how to avoid paying a premium for someone to take skins off your almonds. That is, do it yourself easily at home! 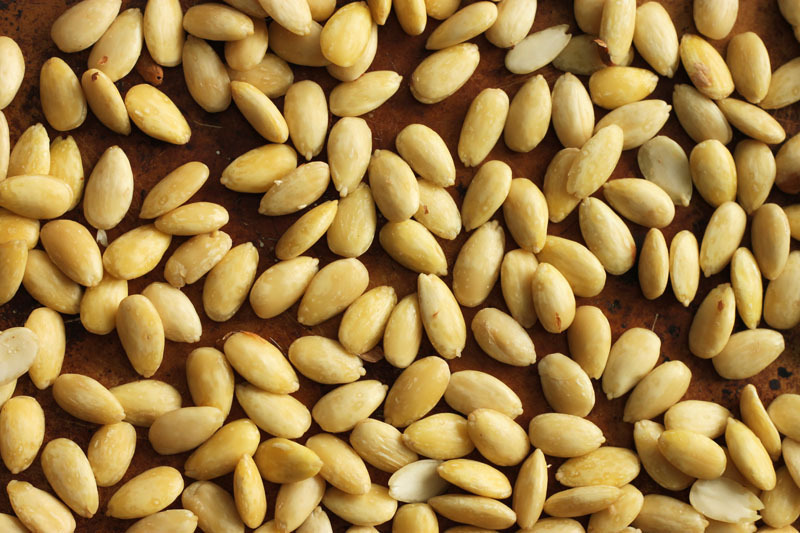 Blanched almonds are useful for many things in baking, especially for decorating cakes, cookies and candy around the holidays. One of their most useful uses is making almond meal for macarons and almond paste (also called marzipan) for making chocolate-covered confections, pastry fillings and even cakes. 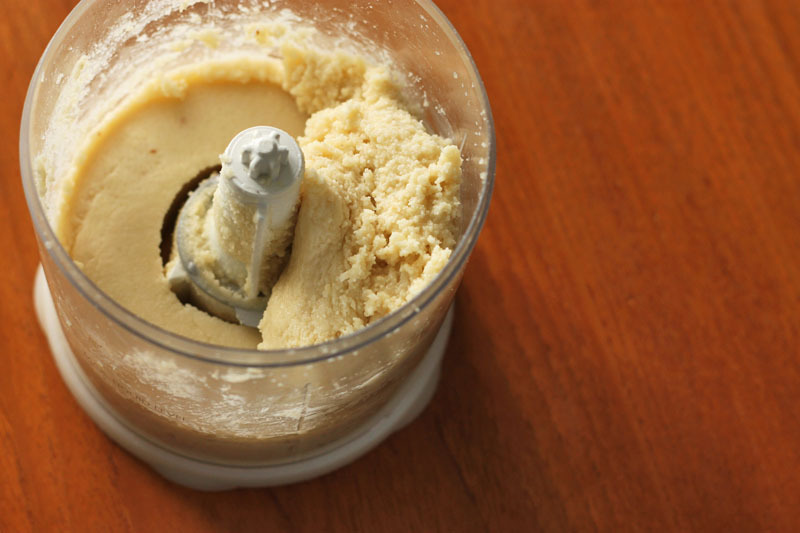 To make marzipan, first thing's first - you need to grind up those blanched almonds in a food processor as finely as you can before turning them into almond butter. Start with 1 and 3/4 cups of almonds, or 175 grams. In the meantime, combine 3/4 cup of granulated sugar, 2 tablespoons of honey, some water and just 1/2 teaspoon of lemon juice in a small saucepan and bring it to a boil. Make sure all of the sugar crystals are dissolved and brush the sides of the pan with a wet pastry brush as necessary to dissolve crystals that tend to creep up. Lemon juice plays a key function - its acidity helps to cleave the bond between the sugar molecules to keep them in a liquid state. Once the sugar syrup comes to a boil, let it continue to boil for exactly 2 minutes. Remove from the heat and then gradually pour the hot syrup into your food processor through the feed tube while it is running. It should form a thick paste. I even used my little food chopper to do this. I just added the hot syrup in several additions to the bowl and processed in 10 second intervals. If you do this, you must work quickly though because the syrup will harden as it cools. Here is your chance to add any flavourings if you want to. The obvious is almonds essence if you would like to boost up the almond flavour, but you could also experiment with high quality vanilla extracts and chocolate extracts. 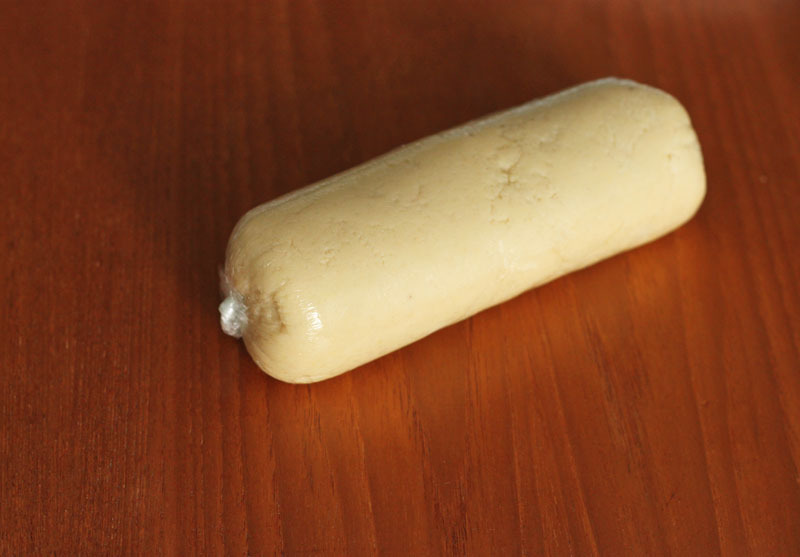 Lay out a big piece of plastic wrap and scoop the marzipan out onto it. Use the plastic to help smooth it out and roll it around to form a log. Twist the ends and store it in a cool dry place, like the pantry. It lasts for months at room temperature. To make fun candies with marzipan, you can roll it out and cut out shapes then dip them in chocolate. It should roll out beautifully, and if it sticks just dust your surface with icing sugar, NOT flour. You can flavour it anyway you like by kneading in some ground pistachios, hazelnut paste, nut butters or cooled melted chocolate. Have fun playing with your new baking ingredient that you don't need to search far and wide for, or pay a pretty penny to eat! 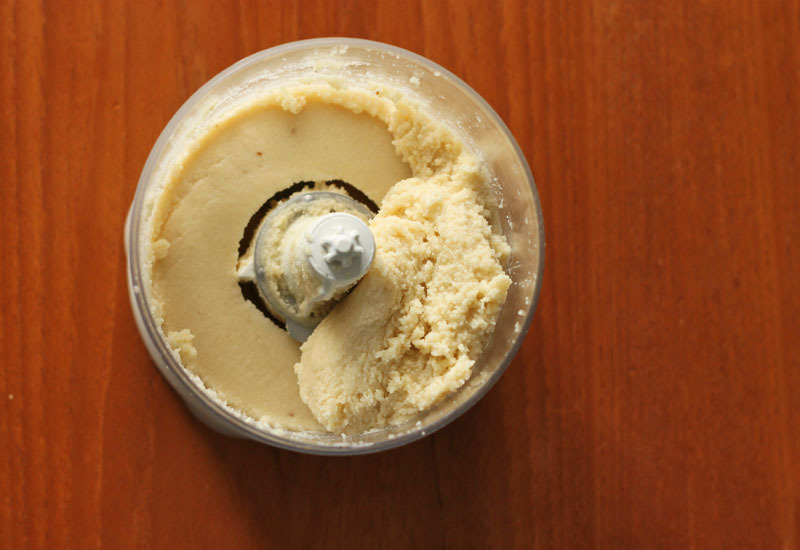 Place almonds in a food processor and grind further until they are as fine as they can be before turning into butter. 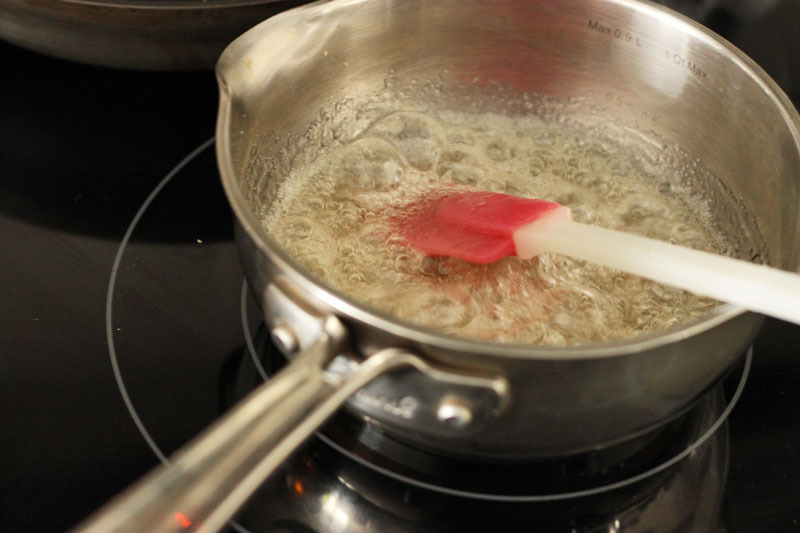 Combine sugar, honey, water, lemon juice and salt in a small saucepan and bring to a boil. Boil for exactly 2 minutes. Pour into almonds with mixer running and process until smooth. Turn out onto a piece of plastic wrap, form into a log and wrap well. Let cool and store in a cool dry place for up to 3 months.